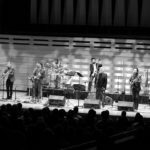 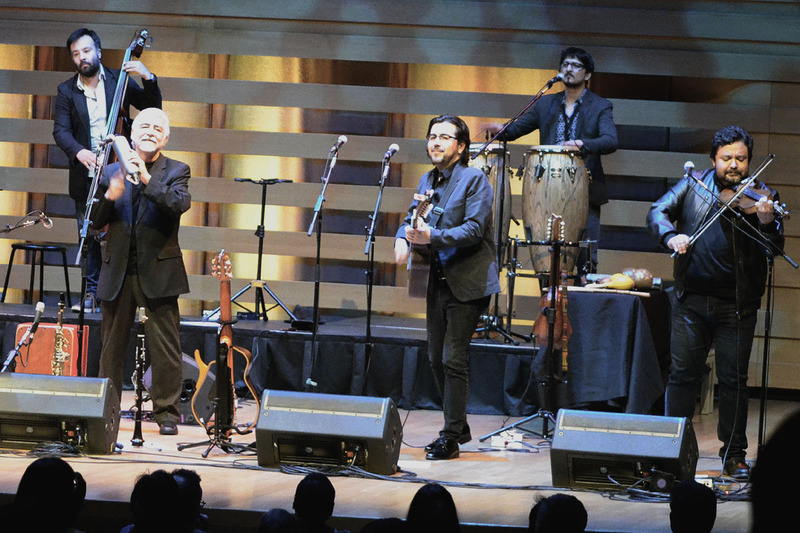 On the 27th of October, 2017 Canadian lovers of music were again given the opportunity to sit and listen to the legendary Chilean nueva canción ensemble, Inti-Illimani. 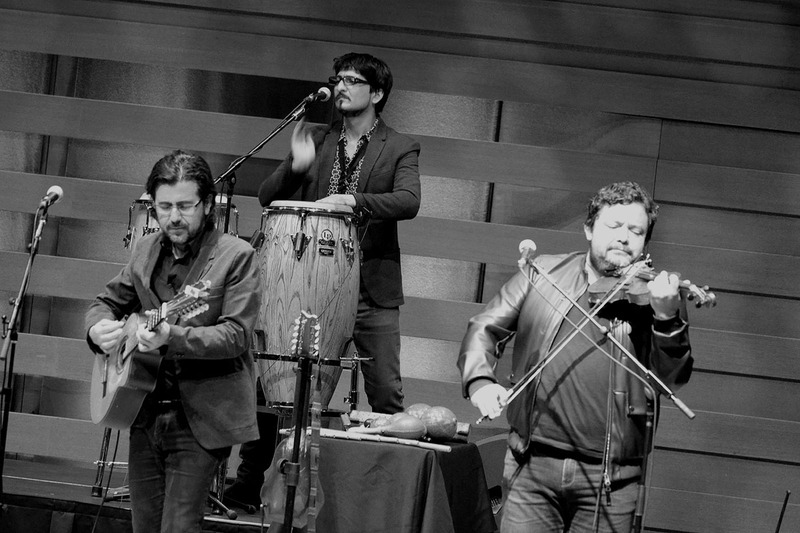 The iconic Chilean ensemble is celebrating its Golden Jubilee this year. 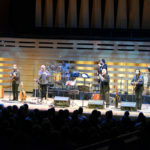 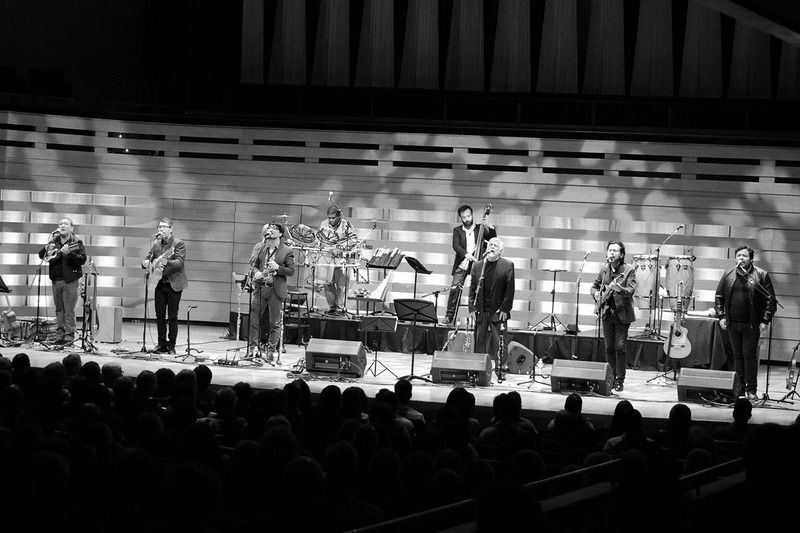 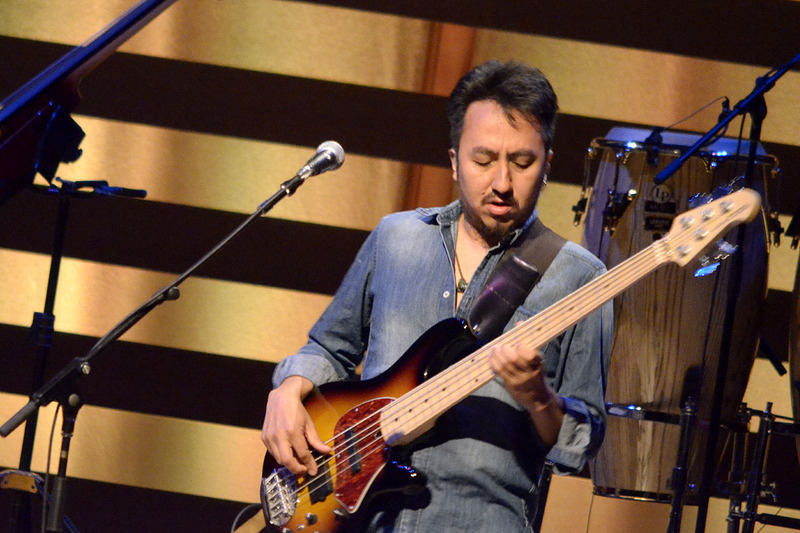 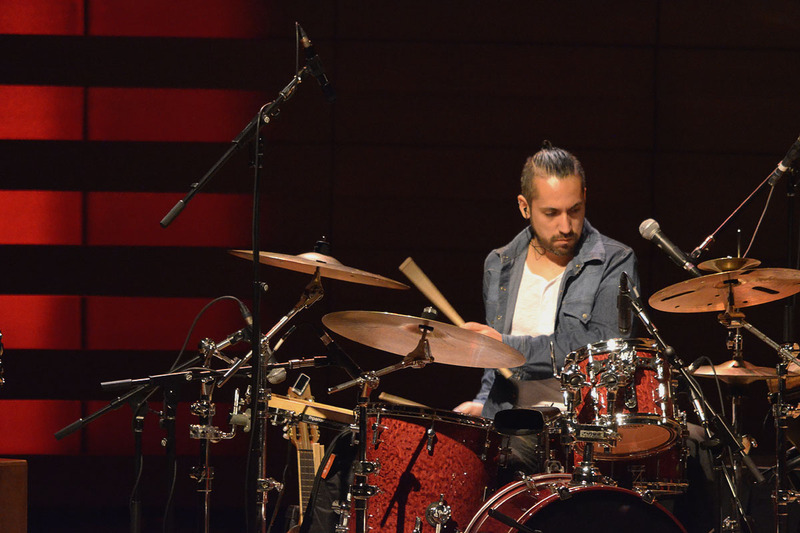 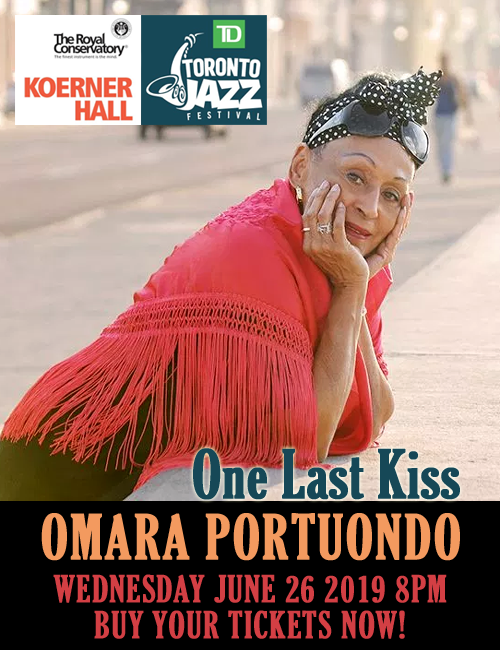 As part of its North American tour they performed at the Koerner Hall in Toronto, Ontario, Canada. 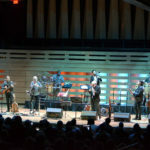 Equally importantly Inti-Illimani is reminding us that it is also the 100 years since the birth of Violeta Parra, possibly the greatest Chilean musician, who single-handedly archived 3000 traditional Chilean songs, proverbs and recipes and invented the very nueva canción in which Inti-Illimani express its own music. 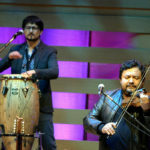 Six years after its formation General Augusto Pinochet – with the help of the CIA – overthrew the democratically-elected Chilean government of Salvador Allende Gossens and that began one of the most brutal periods in recent Chilean history, which also witnessed the murder of Victor Jara, another legend of Chilean culture. 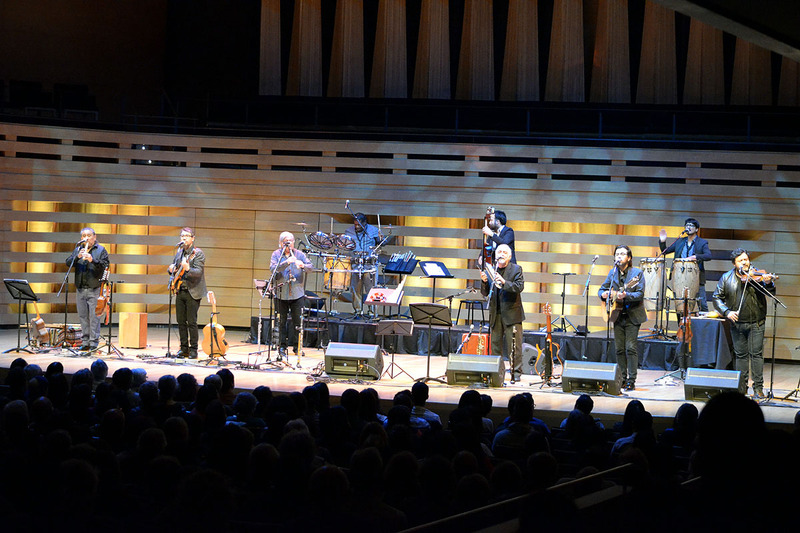 Inti-Illimani was on tour during that event. 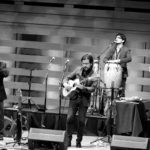 Having heard of the numerous extra-judicial killings of many fellow artists by Chile’s army, they took up residence in Italy, resulting in “the longest tour in history” for Inti-Illimani as they lived in de facto exile. 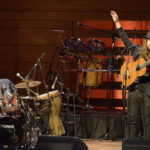 They continued their efforts supporting Chilean democracy internationally; magnitizdat (bootleg) copies of their work continued to be widely distributed in Chile and it was only in 1988 that the group returned to their homeland again. 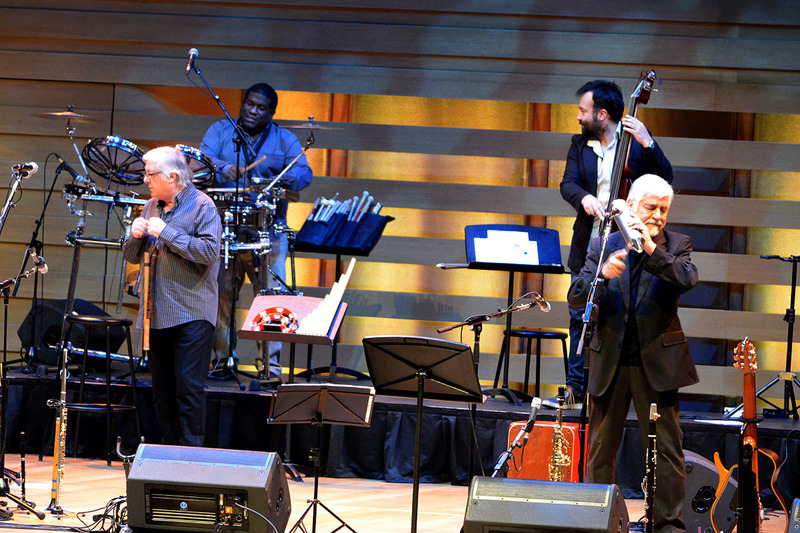 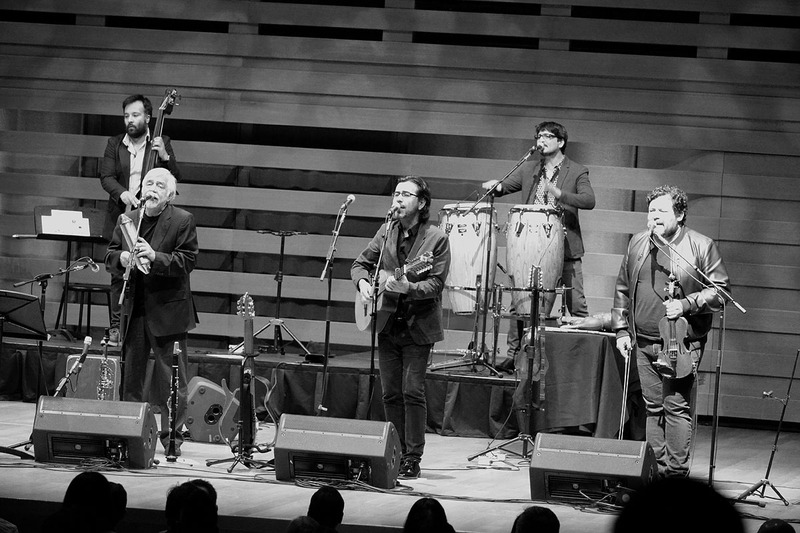 Inti-Illimani graced the music stage at Koerner Hall, bringing with them historic and memorable repertoire to thrill the rapturous audience. 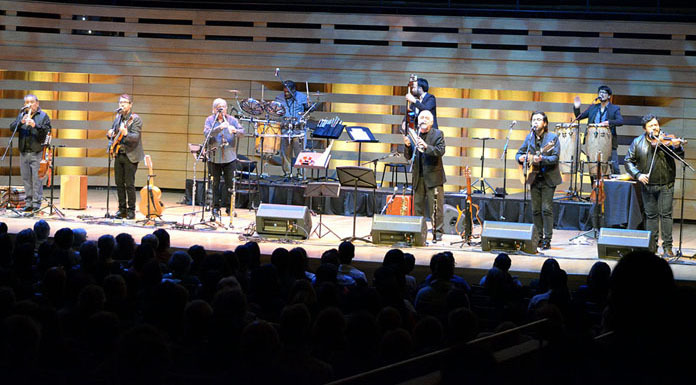 It bears mention that although the majority of those seated in the orchestra and balconies of the auditorium were Spanish-speaking and that also many were – remarkably – from Chile, Inti-Illimani (Jorge Coulon, in particular) engaged the whole Canadian audience by introducing their music in English as well, sometimes explaining themes and meaning of lyrics as well. 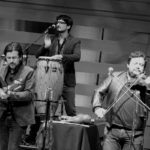 This is something that has enabled Inti-Illimani to reach out to an every kind of audience wherever in the world they perform. 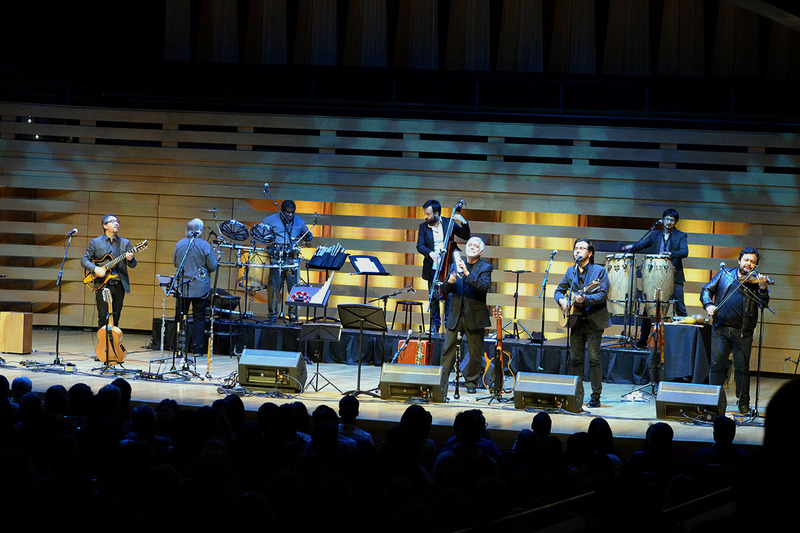 Listening to the manner in which an Inti-Illimani – always dressed in black to show solidarity with the wretched of the earth – performance unfolds, it is clear that these are artists who not only transcend national borders but also transcend genres of art. 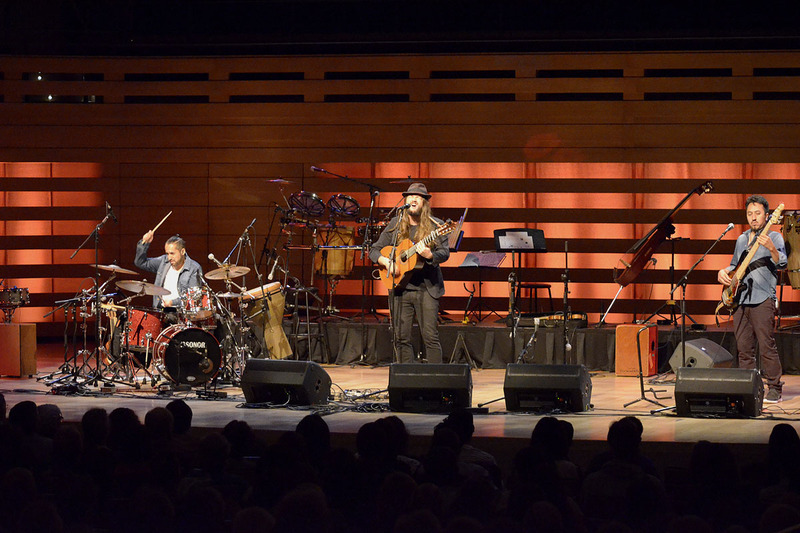 They are poets, storytellers, musicians and – above all – a society’s collective conscience. 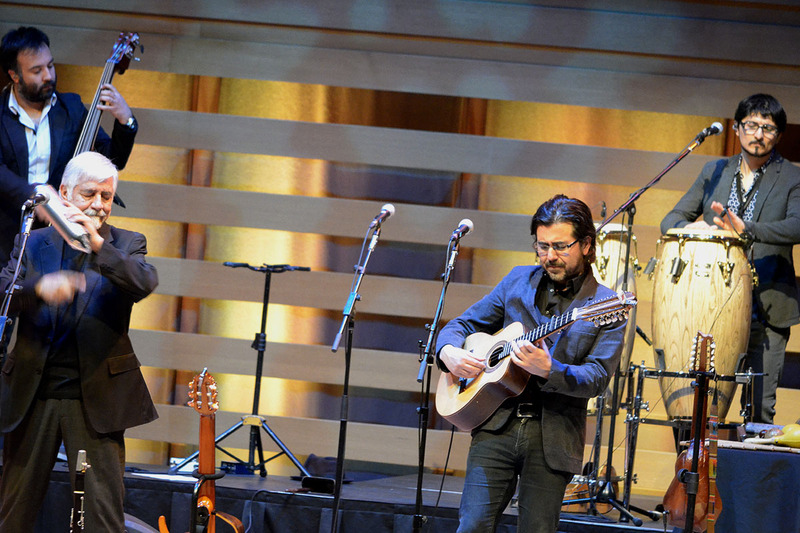 When the plight of children concerns them it is reflected in their glorious songs. 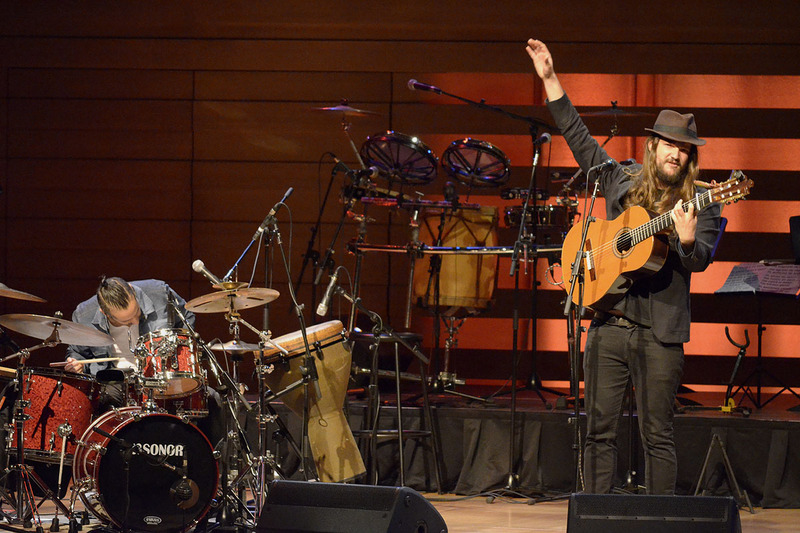 This is true also of indigenous peoples – not only in Chile – but everywhere in the world. 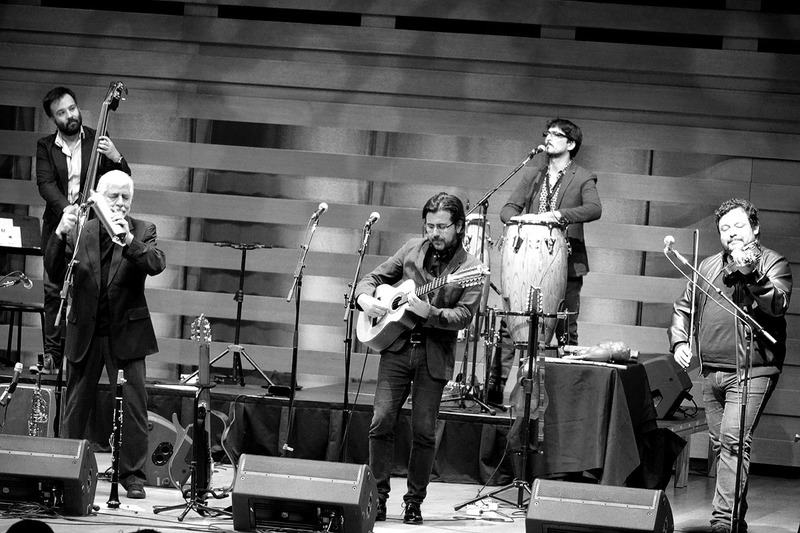 Global politics concerns them too and they have always been unafraid to speak their minds on all of this. 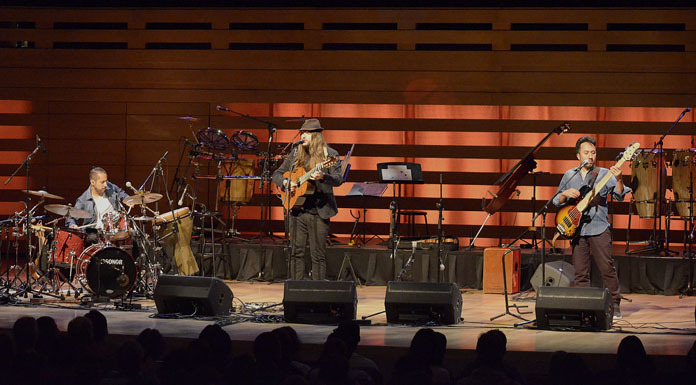 But through it all nothing detracts from their musical presentation. 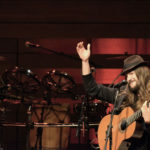 Songs continue to be first and foremost delicate melodies brimming with lyricism. 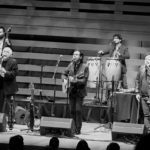 The harmonic richness comes from vocalastics by almost all of the nine members and from complex counterpoint that unfolds on a myriad of traditional acoustic instruments. 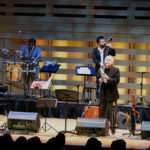 Remarkably individual members of the ensemble can also play each-others instruments with a very advanced level of virtuosity and it is always a treat to watch the members of the group shuffle across the stage to take up positions at another group of instruments in order to play quite another tiple or flute or clarinet or a bass or even a whole new battery of drums and percussion. 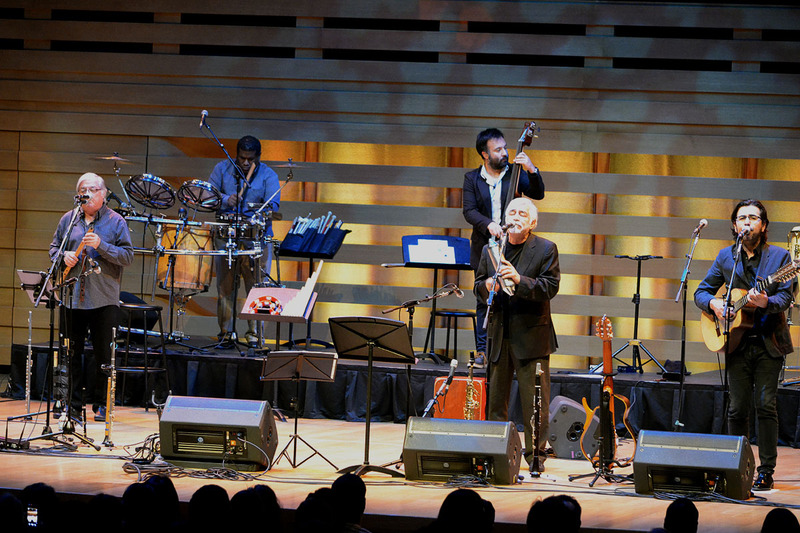 The fact that this was a remembrance of Violeta Parra’s centennial meant the inclusion of much of her work and this was exquisitely performed, the pinnacle of which came when the group played Violeta Parra’s iconic piece, “El Gavilán”. 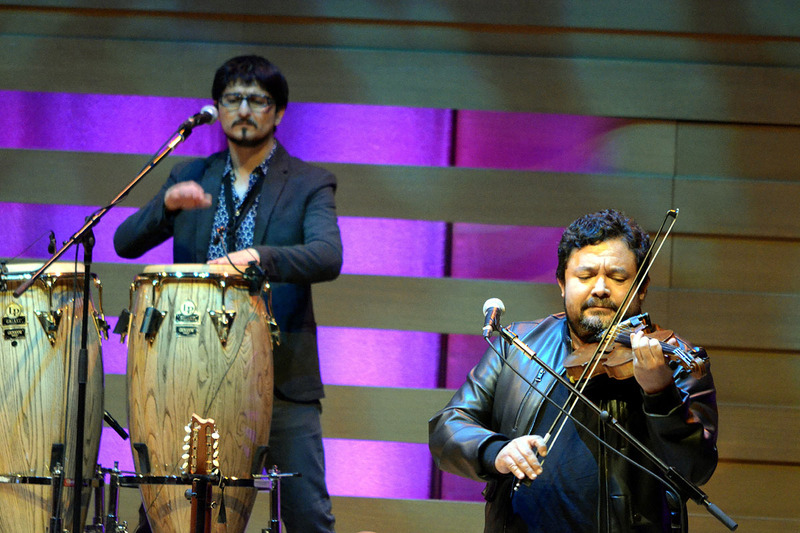 However, there were many other thrilling moments, one of which came when Inti-Illimani performed musical director and tiple player Manuel Meriño’s “La Calle de la Desilusión” and later “La Siembra” which was also written by Manuel Meriño and the brilliant young Chilean composer of la nueva canción , and Nano Stern (who wrote the lyrics for the piece). 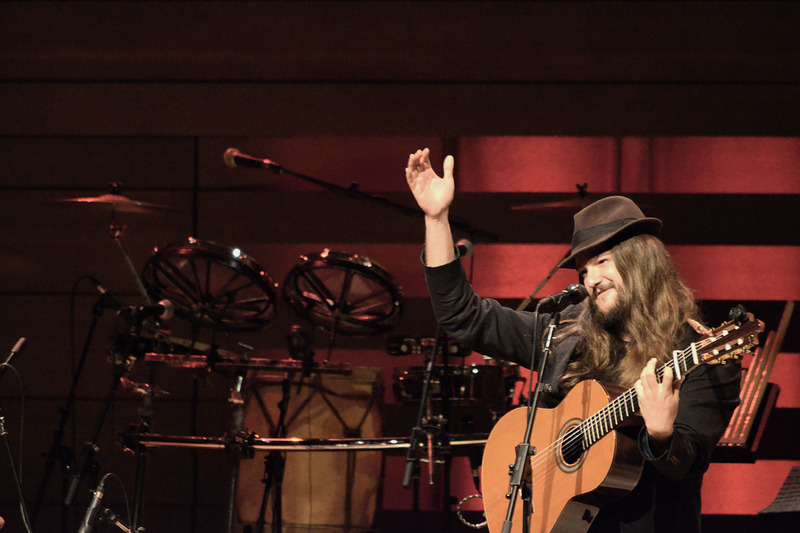 The prodigiously talented Nano Stern represents a new generation of Chilean musicians who is making an enormous contribution to Chilean music, by adding to the library of music and broadening its musical language with his references to other musical idioms and also by introducing extensive improvisational techniques and memorable soli on guitar, violin and piano (on which he was not, however, heard that night). 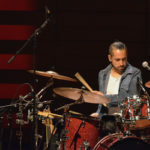 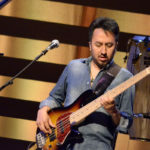 But Mr Stern and his trio – including masterful drummer and charango player Cristian Carvacho and also a terrific bassist, Patricio Rojas – made for an explosive opening set that went on for almost an hour. 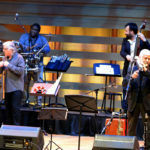 Nano Stern also prepared the audience for what was to come, by reminding Canadians that while we have made great strides in the area of welcoming immigrants from war-torn regions of the world and in mending our ways when it comes to apologising for the many atrocities committed against indigenous peoples, we have a long way to go when it comes to reforming capitalism – if such a thing is at all possible. 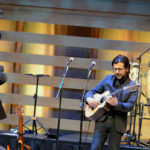 His outing of Barrick Gold during the performance ought to have reminded us that liberal-style democracy is not as socially conscious as it needs to be. 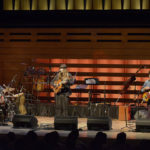 This was to be an underlying message in the viscerally exciting music of Nano Stern and, of course in the almost-two-hour set by Inti-illimani that followed. 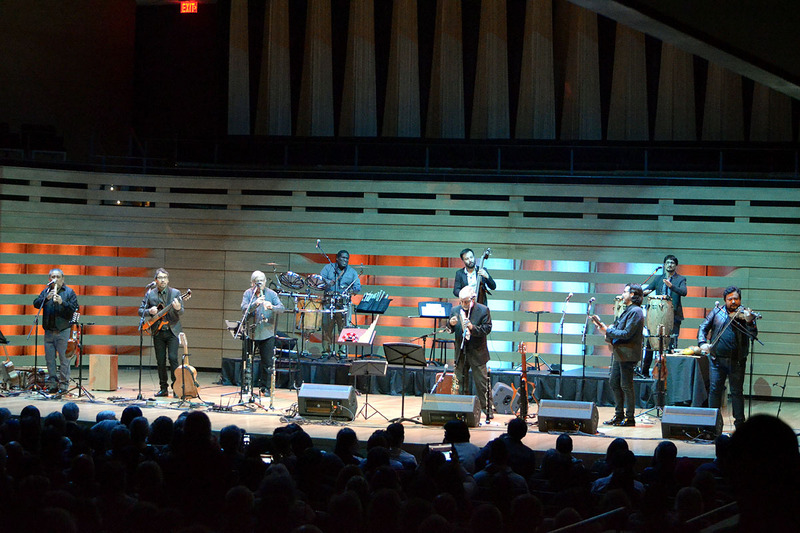 One of the most memorable aspects of the evening came when Inti-Illimani invited the Québécoise vocalist Francesca Gagnon to the stage. 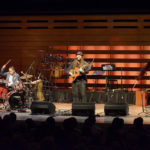 Together with Miss Gagnon, the ensemble brought the house down with stirring performances of classic Violeta Parra and Inti-Illimani repertoire. 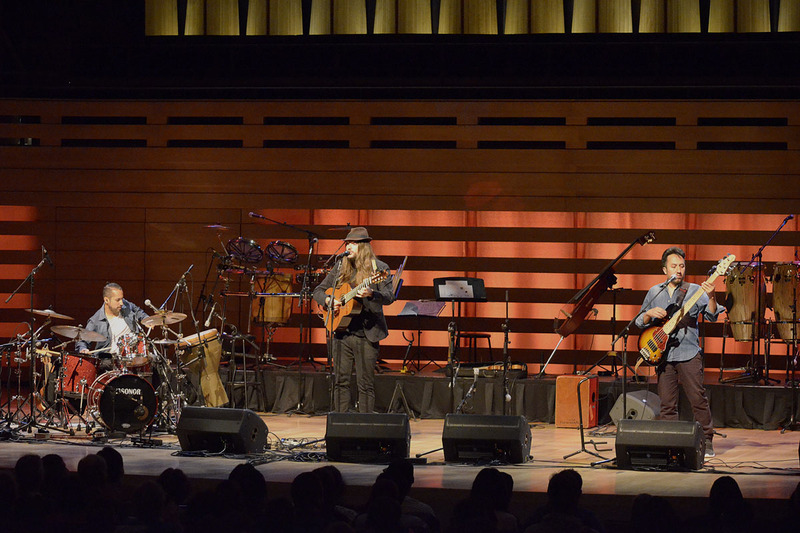 Miss Gagnon was in full, glorious voice throughout the final set. 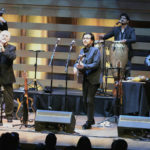 Her performance, together with that of the iconic Inti-Illimani possessed the power of cultural and political theatre that mirrored everything from the Greeks to Bertolt Brecht, with empowering performances by every one of the ensemble as well as Nano Stern and his trio who joined in just before the final curtain call. 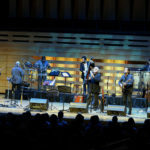 It was an evening that was not only one of the most imaginative, but also certainly one the most memorable by any group of artists performing in Toronto this year.